Last night, J & I were invited to one of my favorite Magazine Street stores, Billy Reid, for John Besh's signing of his newest cookbook, Besh Big Easy Cooking. I know! I know! I do not really cook, but rubbing elbows with Besh and Reid is enough to get me to mingle. The reception at the stellar store was fab. Food was provided by Besh's restaurants. 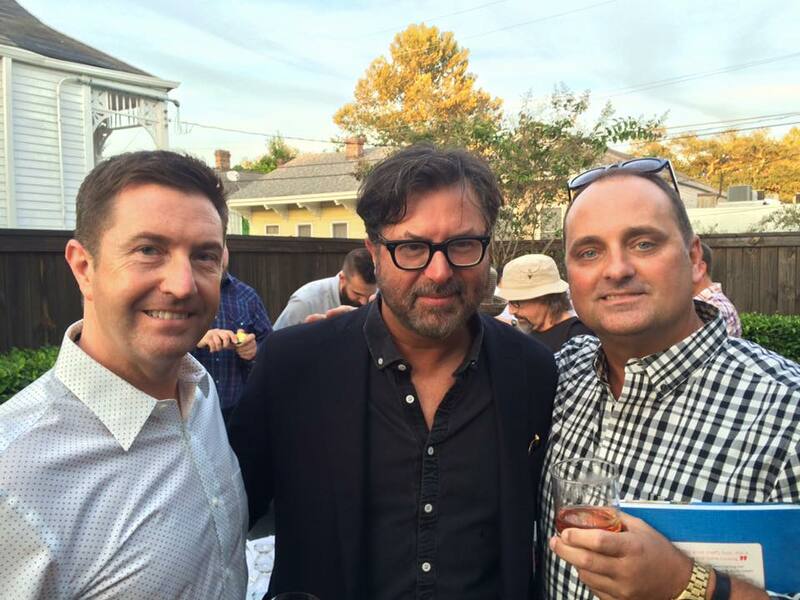 He owns 10 in and near New Orleans. Cocktails were also flowing. John Besh could not have been nicer and more personable. He signed his latest book and talked with J and I like we knew him forever. As we walked to the bar, I couldn't help but stop and snap a photo with Billy Reid himself. I love his style and his namesake shop. My favorite shop manager Colleen and the district rep Shelby even posed for a quick pic. 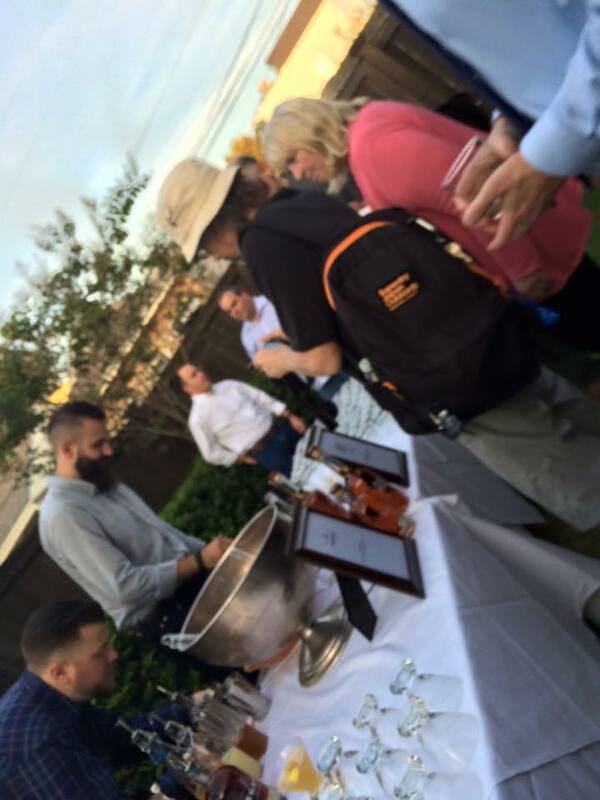 It was a great night to mix and mingle amongst Billy's things. Who could ask for anything more? 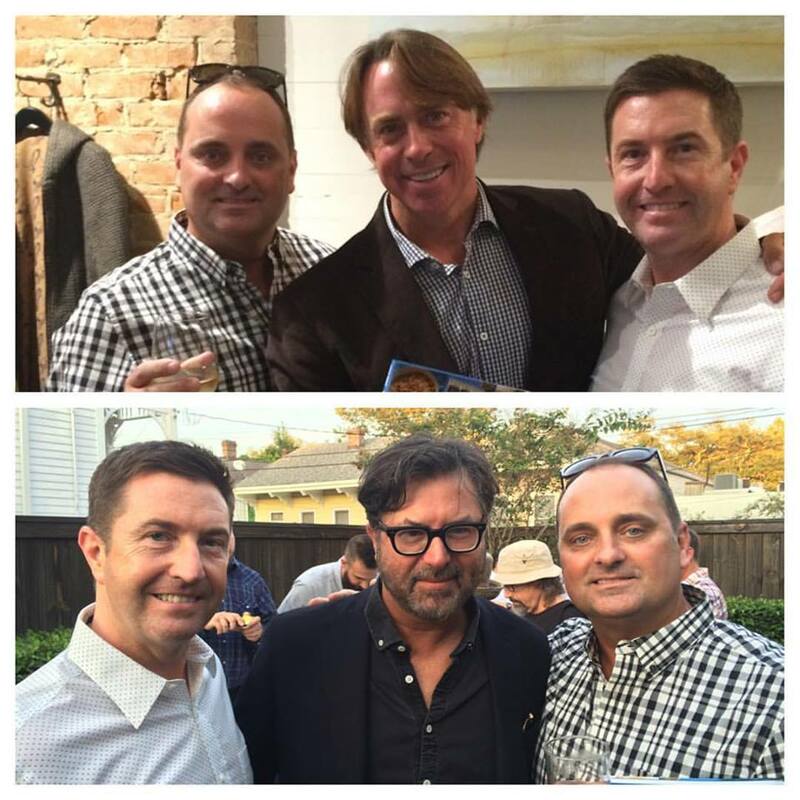 John Besh & Billy Reid, y'all! 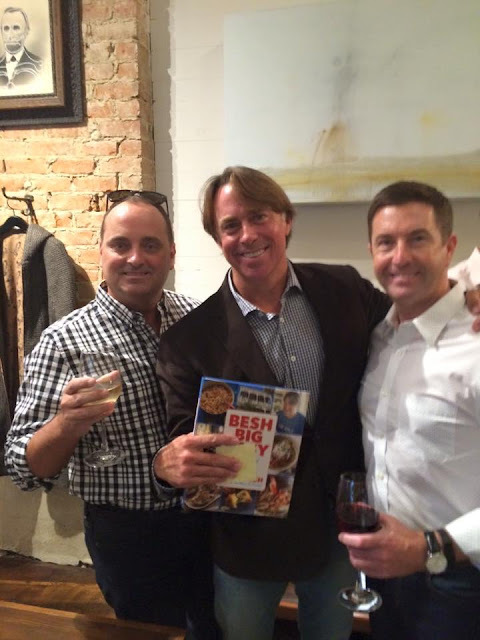 I'm a big fan of John Besh! Fun event! I have not heard of them. I can tell that it was a big deal to meet them though. Your smile says it all. 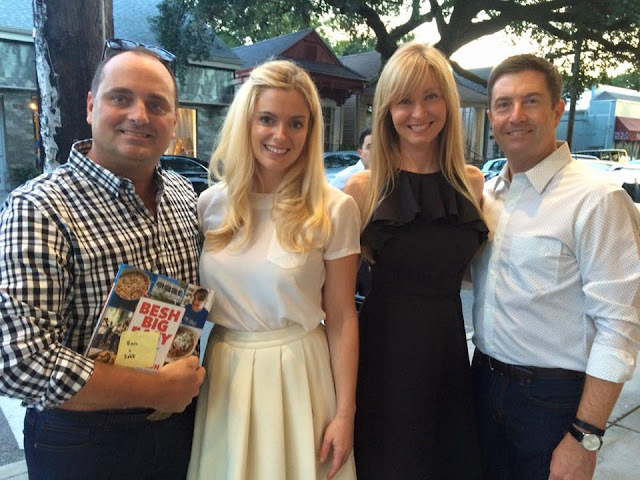 I love John Besh! I'm jealous. Looks like a great event. Ron, This looks like a lo of fun! Now you will have to cook something from the book and share it with us. Didn't know they had a cookbook! Awesome event you lucky thing you!